On September 12th, 1962, President John F. Kennedy spoke at Rice University in Houston, Texas, about the need for America to land on the Moon “before the decade is out.” The space race was never primarily about exploration or science, but rather capturing the highest ground there was in the chilly nuclear conflict with the Soviet Union. 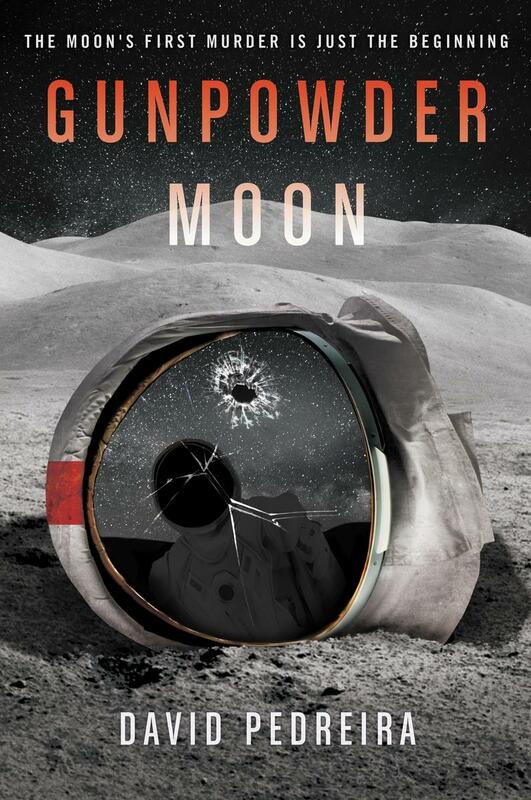 In his new novel, Gunpowder Moon, David Pedreira envisions an inhabited Moon and its role in a larger geopolitical fight for planetary dominance. The Moon has long captured the attention of science fiction writers, either imagining its inhabitants in the midst of a political experiment — as in Robert Heinlein’s The Moon is a Harsh Mistress or John Kessel’s fantastic The Moon and the Other — or as a sort of lawless Wild West, as in Ian MacDonald’s Luna trilogy or Andy Weir’s recent book Artemis. It’s often depicted as a place where people can start over, but Pedreira’s book has a very different view: one where the Moon’s inhabitants simply can’t escape from the Earth’s ideological and political machinations. Some spoilers ahead for Gunpowder Moon. Set in the world 2072, the Earth has had a rough time: rampant global warming and an event known as the Thermal Maximum ruined the atmosphere, kicking off mass dislocation, famine, and warfare. Humanity was saved by breakthroughs in the development of fusion energy, which requires Helium-3 — an isotope found in abundance on the Moon. China, the United States, and Russia all establish mining outposts, essentially keeping one another in check. The novel follows Caden Dechert, who heads up the US’s He3 mining operations in Mare Serenitatis (Sea of Serenity). He leads a small crew of miners out of a buried facility called Sea of Serenity 1, including Jonathan Quarles, a genius engineer, flight officer Vernon Waters, diggers Rick Thatch and Cole Benson, and his second-in-command Lane Briggs. The book opens as Dechert discovers a case of sabotage on a distant outpost. Before the team can really begin their investigation, someone blows up one of their mobile habitats, killing Cole and prompting their off-Moon bosses to send up a team of Marines as the situation heats up relations between the US and China. Dechert, a former Marine, knows what’s coming: the US is spoiling for a fight. This sets up an escalation of force that makes everyone uncomfortable, yet unwilling to back down for fear of losing face. As the tensions between both countries heat up, Dechert does everything he can to protect the people under his command, including going up against his own leaders, pointing out that the story they’ve constructed doesn’t make sense. Rather, he believes someone orchestrated the bombing to push both sides to war. What makes Gunpowder Moon stand out from most lunar novels is Pedreira’s emphasis on realism in the details that make up his world and the political structures that govern it. Pedreira focuses on getting things right, from the filtration systems that keep Sea of Serenity 1’s air free of deadly lunar dust to the physics governing the rail guns that shoot their mined Helium3 into orbit to be retrieved. This focus on scientific detail does come at a cost: it’s hard to connect with the characters, so when they’re killed, threatened, or promoted, it comes with little consequence or emotional resonance. But despite that, Pedreira sets up a compelling scenario that feels chillingly plausible. Humanity has proven time and again throughout history that we will do anything to control valuable resources and hold on to power. As China and the US vie for control of the Moon in this novel — and ultimately, access and control of the entire Solar System — it feels less like a fictional vision of the future and more of a forecast for what’s to come. In 2018, China is a powerful country, with enormous ambitions to spread its influence across the globe, while the United States has effectively pulled some of its influence back from the world stage. Pedreira’s book envisions a world in which these tensions persist and the very real dangers that this friction could spell on Earth and beyond.